When visiting Lake Como one of the most enjoyable activities is simply taking in the spectacular views and there is no better way to do this than from the vantage point of the water. 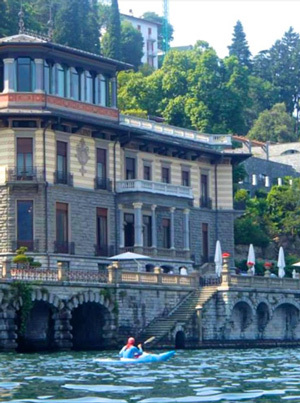 The possibilities for getting out on the water are endless as seeing the surrounding mountains and shorelines from the Lake itself is a must on any Lake Como visit. Whether you decide to hop on a ferry (traghetto), hire a sailboat, rent a motorboat for the day, or go with the flow in a kayak (canoa), your time on the water will likely be one of the longest lasting memories of your visit to Italy. 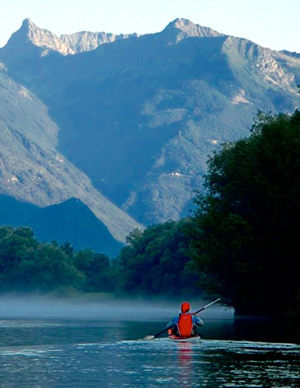 Renting a kayak is now a widespread option on Lake Como as more and more visitors are recognizing that the 360 degree views and liberty from going at your own pace in a streamlined kayak simply canâ€™t be beat. Near Griante down by the water at Cadenabbia kayaks can be rented for around 3 Euro an hour or 20 Euro a day. As you head north on the Lake around the tourist towns of Domaso and Gera Lario there are endless rental options which are a bit more expensive at around 6 Euro an hour or 35 Euro a day. Regardless of where you decide to paddle, renting a kayak for an afternoon is a great way to get some sun, snap some photos of the surrounding villas and mountains as well as work up a healthy sweat before your evening bowl of Pasta Carbonara. 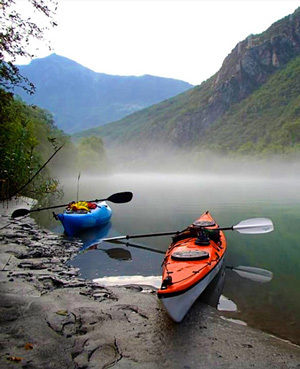 If you have a few extra days and a bit of kayaking experience the ultimate tour of the lake is to take the 4-6 day trip around the entire 200+km coastline preferably with a paddling partner or in a small group. 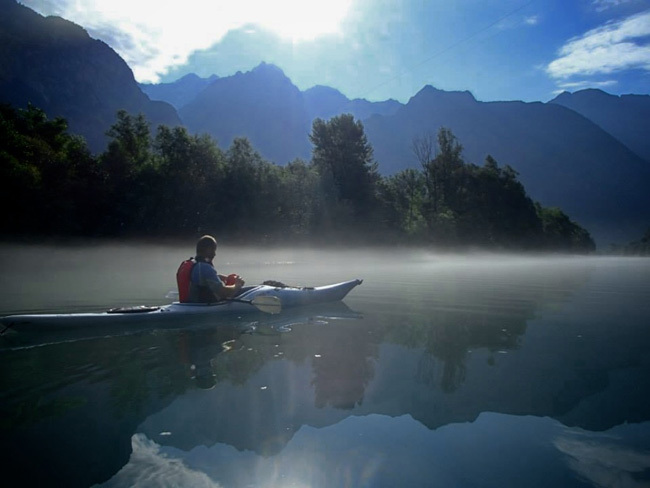 For kayak expeditions Lake Como is nothing short of paddling paradise. Bring along a few dry bags to keep your food and clothes safe, a basic map, some sunscreen and a waterproof camera and also consider a tent and sleeping bag if you decide to camp. However, if you have the cash adding hotels and restaurants to this tour would provide well deserved beds and calories at the end of the day. Although there are countless options for which route to take and how much of the lake to see, our suggestion is to not take any chances in missing anything and to see it all. 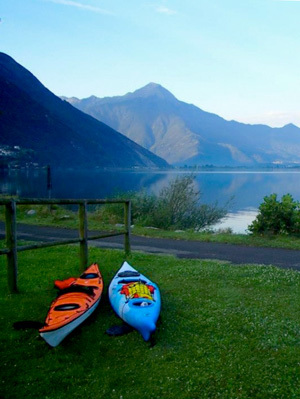 Starting near Griante down on the water at Cadenabbia your kayak rentals can easily be arranged and you will find many helpful locals who will be eager to assist you in planning your route. The most popular option would be to circle the lake clockwise starting from Cadenabbia. The benefit of going in this direction is the currents will be behind you for most of the trip and the wind will be at your back gently pushing you along. Stage 1 would be to head north from Cadenabbia towards Menaggio heading as far up the lake as your muscles will take you. 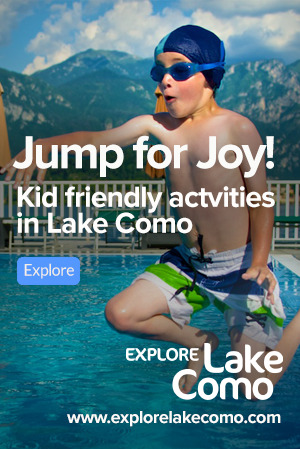 Camping on the north shore and visiting the rivers that flow into Lake Como is a must. The water is calm, the jagged mountains are hidden in the clouds and the green hills leave you feeling like youâ€™ve kayaked all the way to Switzerland. This stage is the most popular for those wanting to get in the water to swim as it will take you past the cleanest water the lake has to offer and the sandy beaches will have you taking unexpectedly long afternoon naps and never wanting to leave. Stage 2 takes you down the East shore of the lake getting as close to Varenna as you can manage. Spending a night in Varenna for a sunset stroll and lakefront dinner will certainly give you the strength and energy to keep you going the following morning. The highlights of this stage are the still waters of Lago di Piona just south of Colico which merits a small detour and the pristine shoreline of trees and cliffs where the silence of the lake will have you feeling as though your were paddling all alone down the Alaskan Coast. Stage 4 starts from Bellagio and heads south on the left leg of the lake towards Como and then back up the west shore of the lake back to Cadenabbia for a cold celebratory glass of beer. This stage is not to be missed and for many the most spectacular of the four stages. This stage will take you as close as you can get past George Clooneys Villa, Richard Bransons Villa, Versaces Villa, Hotel Dâ€™Este, Villa Balbianello, Villa Carlotta, Villa Margherita and other spectacular Villas that will leave your mouth wide open and will deplete your camera battery faster than you can say cheese. The biggest risk here is tipping out of your kayak as you become more concentrated on trying to spot celebrities and forget to keep your eyes on the water and hands on your paddle. 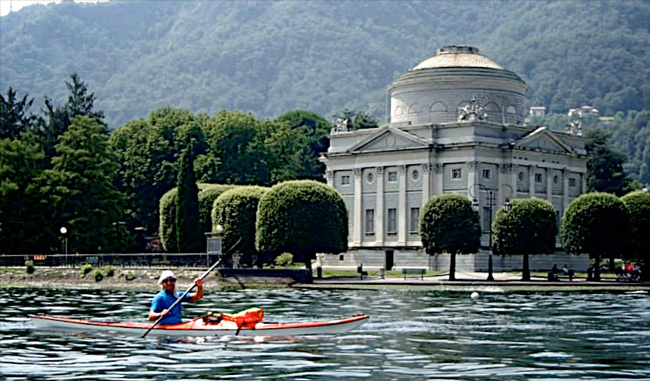 Effortlessly combining pristine shoreline, calm rivers, mountain backdrops, public beaches, world class villas, sleepy towns and fresh Panini a Lake Como kayak expedition will undoubtedly be a tour you will never forget. Whichever Stages you choose, and however many days you dedicate to being out on the water you will certainly feel like an explorer and will go home with pictures and memories of the Lake that people who have lived here their entire lives can only dream of.